After six years on semi-hiatus, Amy Lee’s multi-platinum goth-metal arena-rockers return with a not-quite-new fourth album comprised largely of old material rearranged for electronics and full orchestra. 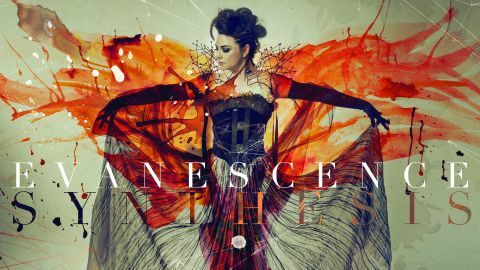 Evanescence are no strangers to strings and synthesisers, of course, but the Synthesis’s guitar-free remakes have a windswept grandeur and widescreen sonic palette lacking in the original recordings. Two new compositions, Hi-Lo and Imperfection, are both classy, stadium-sized anthems that couch soaring Bond-theme melodrama in supple trip-hop shudders and sumptuous, vaguely Middle Eastern string swirls. Baroque reworkings of Lacrymosa and Never Go Back also harness the full power of the orchestra to amplify rather than restrain Lee’s roof-raising histrionics. Less impressively, operatic power ballads like My Heart Is Broken and Lost In Paradise sound a little deadened by blustery, Lloyd Webber-ised arrangements. A handful of solo piano interludes also summon inescapable echoes of Spinal Tap’s Lick My Love Pump. Overall, though, Synthesis feels like a successful experiment.